Christmas tag around the bottle's neck. 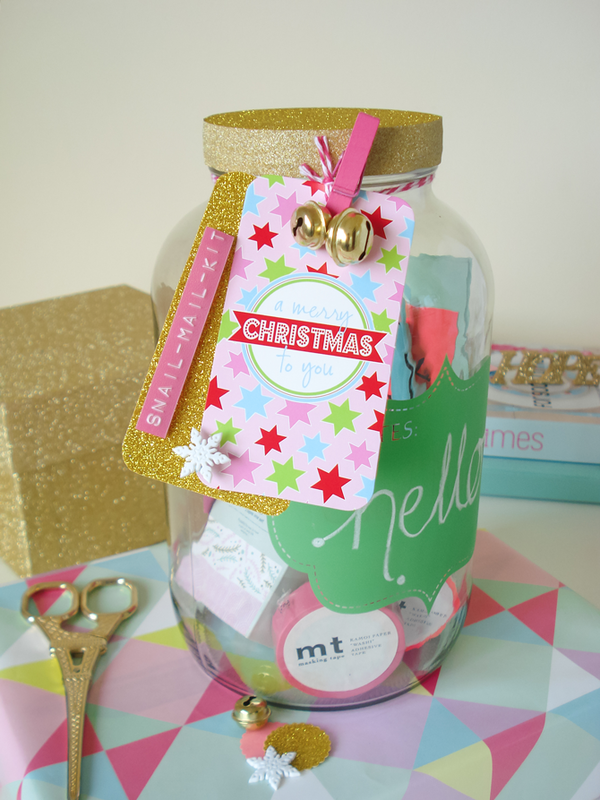 It is so easy and fun to create - I hope it inspires you to get making this Christmas. I bought my supplies mostly from Typo and one or two elements like the envelopes and glitter paper from a general craft shop. The MT washi tape is from Washi Bug. My Motex label maker from Love Letters Stationery also came in handy. 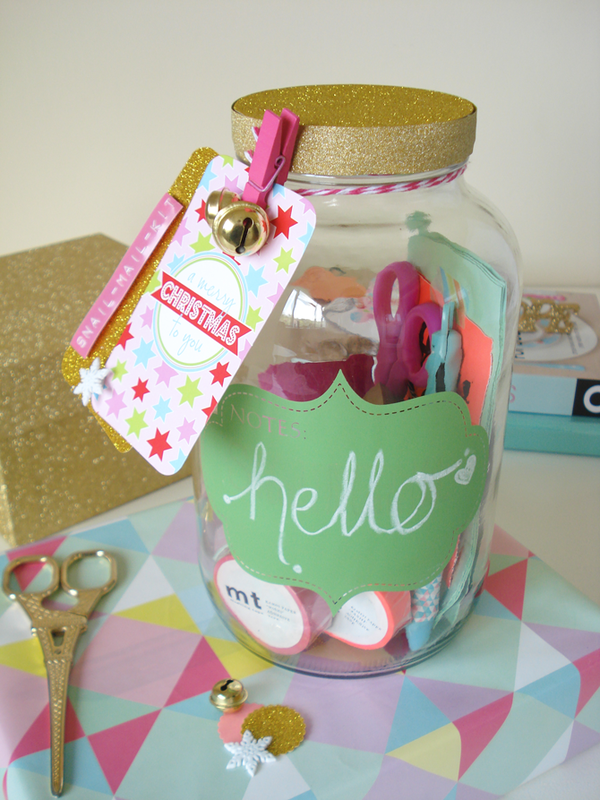 As mentioned you can include anything creative so it's an easy DIY to shop for. What a pretty gift, I know I would love to receive this. Love your creativity! The colours are my favourites! 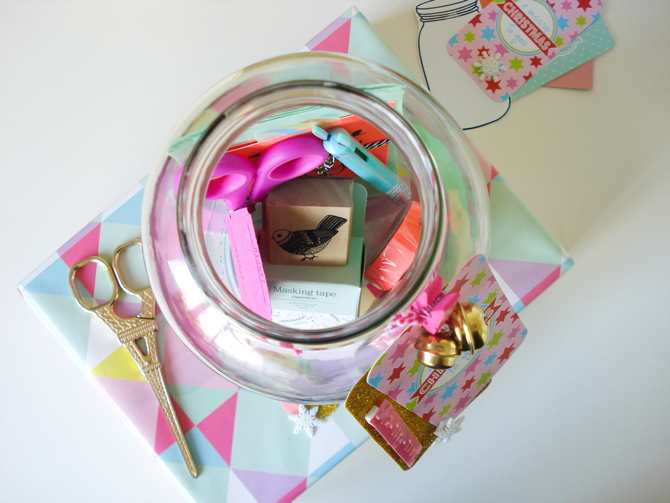 Brilliant gift for snail mail lovers!